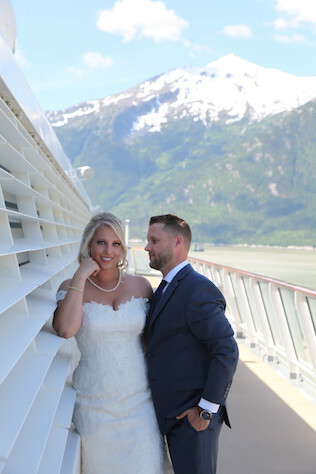 Ryan and Natasha decided to elope on a seven-day cruise to Alaska after they realized they wanted their most cherished words ever to be spoken to be just between them. 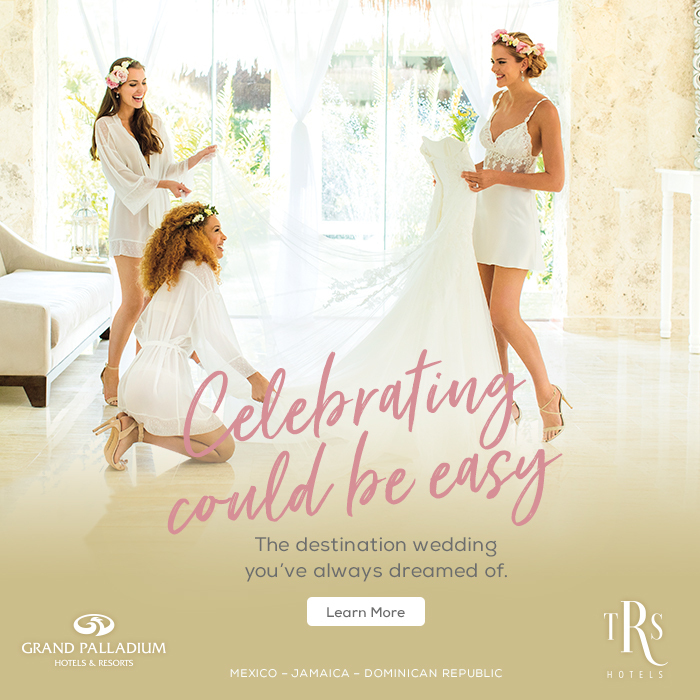 When the newlyweds began to plan their wedding they thought they wanted a big wedding in South Florida, home to both of them. After they began planning they came to the realization that this was going to be the most important day of their journey together and wanted to exchange vows privately. Natasha says the only difficult part of planning was committing to a destination wedding. The couple’s families were completely supportive of their decision. “They knew how important it was to us to share that moment with each other and those closest to us,” the bride says. The newlyweds decided to take the same trip to tie the knot when Ryan popped the question. 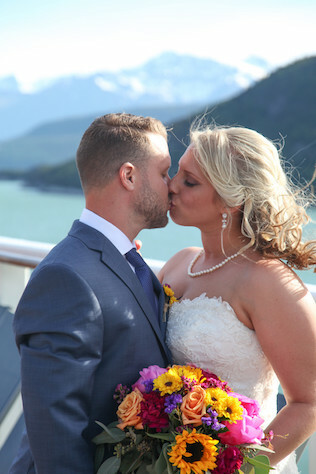 The 7-day Alaskan cruise ended with a train ride to their wedding location. The bride and groom held a reception to celebrate with their families and friends in Park, Florida, upon returning. The couple kept their wedding pictures a surprise and revealed the pictures during the reception. If the couple had moved forward with the Florida wedding, they believe it would have been more expensive and it would have been less intimate. 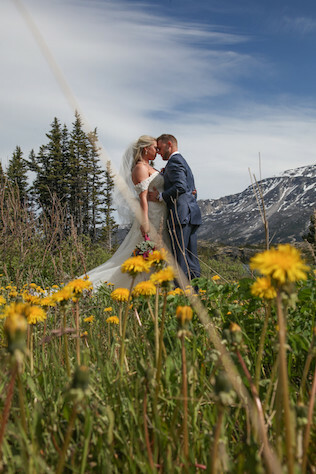 “We had the best of both worlds- a beautiful, intimate ceremony in the most beautiful place we have ever seen and an incredible party with all of our loved ones upon returning home!” the newlyweds say. Natasha’s advice is to “trust your heart!” She suggests openly communicating your thoughts with your partner throughout the process. 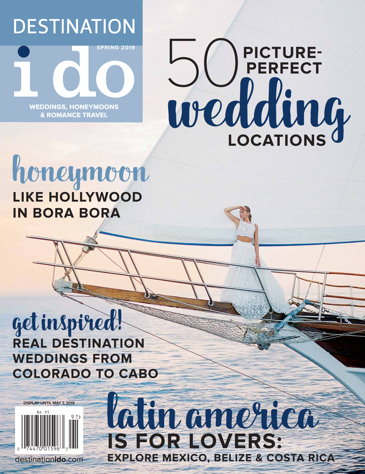 Vendors: Photographer: Tabitha McCausland Photography, Wedding Planner: Orlando Designer Weddings, Ceremony/Reception Site: Fraser Station, Florist: Martha’s Flowers & Gifts, Hair & Makeup: Celebrity Cruise, Gown Designer: Narin Moda.